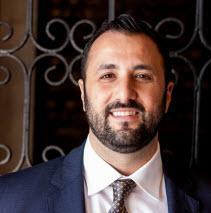 Avi Levy is a graduate of the UCLA School of Law, and has been practicing family law exclusively since 2002. In 2011, he became certified as a family law specialist by the State Bar of California, Board of Legal Specialization. He is a member and Chair of the Family Law Section of the California Lawyers Association, is a member and Former Chair of the Family Law Section of the State Bar of California (FLEXCOM), is a member and sits on the Board of Directors of the Association of Certified Family Law Specialists (ACFLS), and is a member and sits on the Executive Committee for the Family Law Section of the Beverly Hills Bar Association. Mr. Levy is also a member of the Association of Family and Conciliation Courts (AFCC) and the Family Law Section of the Los Angeles County Bar Association. Mr. Levy has had the honor of serving as a presenter on educational panels for other family law professionals on the issue of attorney fees and costs and the issue of date of separation. On June 8, 2016, Mr. Levy testified before the Assembly Judiciary Committee in support of a family law bill (SB 1255 - Date of Separation) that has since been signed into law by the governor and took effect on January 1, 2017. He has also served as a Daily Settlement Officer (DSO) and a Judge Pro Tem for the family law courts of the Los Angeles Superior Court. Mr. Levy has been designated as a "Super Lawyer Rising Star" in 2006, 2008, 2010, 2011, 2014, 2015, 2016, and 2017 and a "Super Lawyer" in 2018. He has been involved in numerous family law hearings, including Trials, OSCs/RFOs (with and without live testimony), contempt proceedings, domestic violence proceedings, civil harassment proceedings, etc. He has been involved in analyzing, identifying, characterizing, valuing and dividing marital property on hundreds of occasions, and has negotiated hundreds of family law stipulations, settlement agreements and Judgments, and numerous premarital agreements, postnuptial agreements and other types of family law agreements.